Fr. Youssef Zaki was born in Egypt on October 8, 1958. He served at St. George Church, Hmamat El Kobe, Cairo. Since his coming to USA in 1984, he has served at St. Mark Church, Los Angeles, St. George, Bellflower, and St. Marina Church, Irvine. 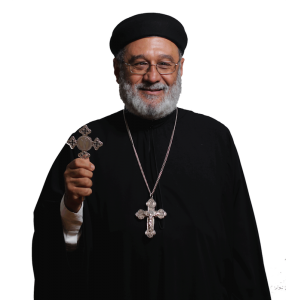 On Sunday October 14, 2007, Bishop Serapion ordained him presbyter for the Diocese.